Tom and I are no strangers to a little city break here and there. Whether it be across the water somewhere in Europe, or sticking to home soil and visiting somewhere within the UK. 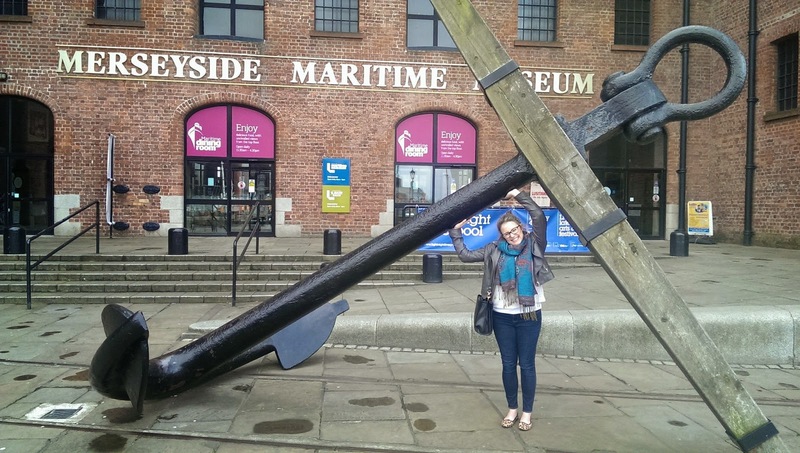 A couple weekends ago we headed off to Liverpool City for a rather chilled and relaxing weekend. No purpose, no plans. Just somewhere to visit to have a break away from our usual weekend routine. After a 3 hour drive, we finally arrived at the HaymarketCentral Travelodge* which is situated in a prime location in the city centre close to the shops, main train station and metro. As we weren’t too sure what we were going to get up to while in Liverpool it was great to have a ‘base’ that enabled us to get to most places without having to do a massive trek! One thing that was definitely on the agenda was a football match. It seems to be a bit of a tradition for Tom to get tickets for a football match whenever we go on a city break somewhere. I’ve been to matches in Barcelona, Rome as well as visiting other European stadiums which were all different experiences! That being said he presented two tickets on Saturday morning for us to go watch the Everton V Sunderland football match. Now I don’t mind going to see football. We do make a joke of it that at least one afternoon on our city break will be taken up by football… I also like the fact I have a bit of ammo to get him to do something I want to do – Usually this is going shopping! 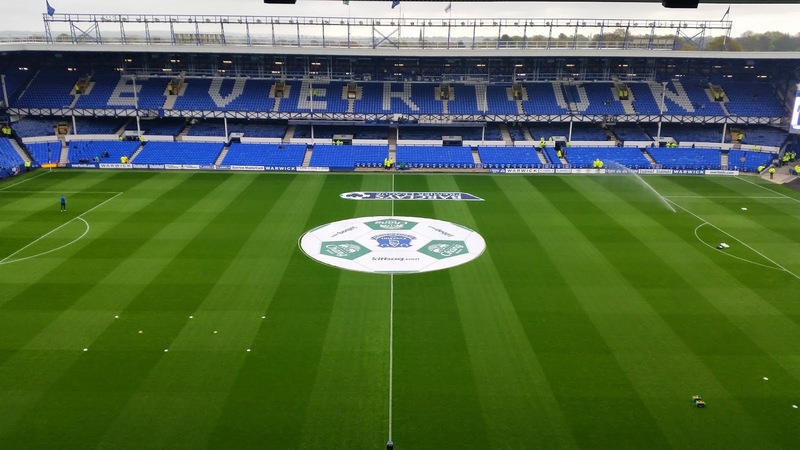 So we headed along to Goodison Park for the afternoon. Saturday evening we decided head out for some food and a possible cinema visit. 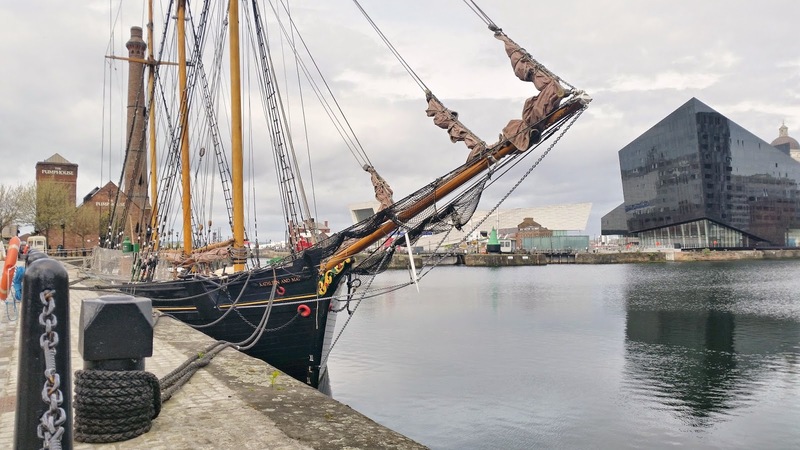 Having never watched a movie at an IMAX theatre I was quite excited to learn that it would be something we could if we headed over to Liverpool One – A shopping, residential and leisure complex in the city centre of Liverpool. It was actually very busy, not just because we were there on a Saturday, but Olly Murrs was performing at the Echo Arena that night. With this in mind all the restaurants were pretty full with rather long waiting times which was very unfortunate for us as we were looking to try to eat somewhere we hadn’t visited before. In the end, we went for an old favourite, good ol’ Pizza Express. 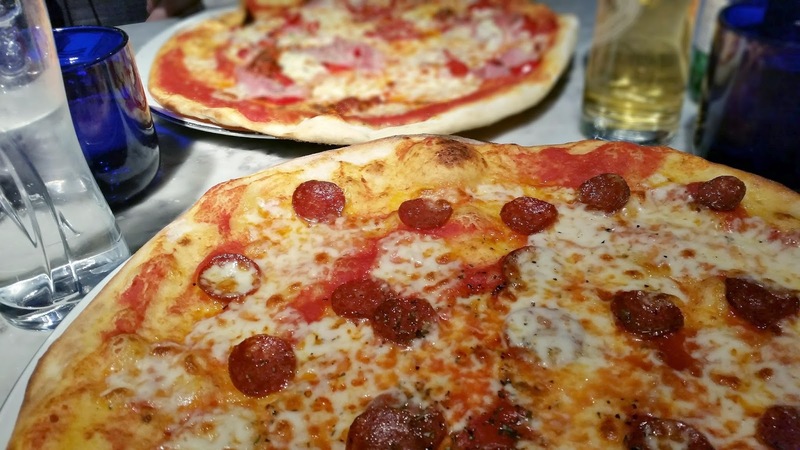 You can never go wrong with a pizza! Following our very delicious meal we headed across to the Odeon to see if we could purchase some seats to watch a film at the IMAX. In the end the new Avengers film was showing in 3D so we decided to go ahead and book the tickets, grab a mountain of Ben and Jerry’s icecream as a dessert to follow from our Pizza Express and crack on with what Tom and I like to do best. Chill out and watch a movie together. We planned to head back home to Berkshire Sunday afternoon, giving us the morning to go and have a bit of an explore. 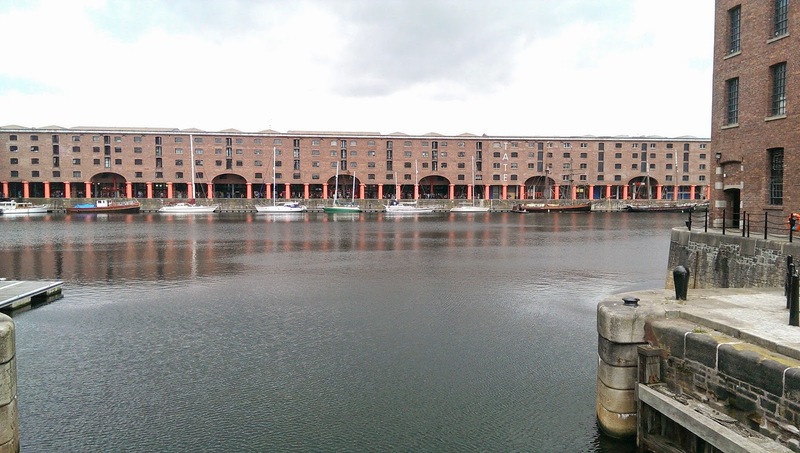 We headed along to AlbertDocks for a mooch around, spotting a few ‘walk of shamers’ along the way! We popped into various little shops based around docks. Here you can find the usual tourist shops full of what I like to call ‘tack’ along with various coffee shops for you to grab a beverage from, stop to take in the surroundings and do a bit of people watching. 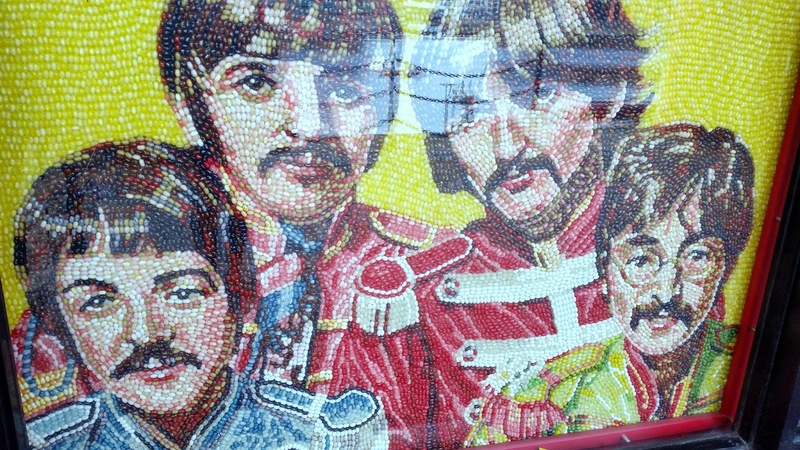 Right by the docks you have The Beatles Story Exhibition which we felt compelled to go and visit. Both being music fans it was nice to go and find out a bit more of history behind the Beatles. I found it really interesting and definitely recommend visiting if you are a fan of the Beatles or you are just intrigued about the history! Following this we headed back towards the main shops of the city. Taking a look in their large Superdry store, Primark, Forever 21 and many more. We made a mental note that Liverpool was in fact really good for shopping and we should have come more prepared with more spending money! – We now know for next time! It wasn’t the most jam packed city break we have been on, however it was just what we needed. A break away from our usual surroundings, enjoying eachothers company and just having a general chilled out time. We’ve both agreed that we would like to go back to Liverpool, maybe on a dedicated shopping trip (and probably a trip to Anfield knowing Tom!) So if you have any recommendations of what we could do when we visit again. Do let me know in the comments! * Disclaimer : We were provided with a 2 night complementary stay at the Travel Lodge along with some spending money. All opinions are my own. So this is my first book review ever on my blog! This year I have really made an effort & got back into reading. I’m even keeping a list on my phone of the books I have read so far in 2015. I’m not one of these people that manages to get through lots of different books each month, however aiming for 1 or 2 reads is working well for me at the moment! After chatting with Lorna about my rekindled love with reading she suggested getting together with a few other girls to create a blogger book club. The first book we chose to read was Elizabeth is Missing by Emma Healey. A book I had actually already started before the suggestion was made as my friend Shelley had recommended it to me. Having always being into creative writing from a young age, it was inevitable that Emma Healey would bring out a book later in life. After studying at university and working in various book and coffee shops. She put pen to paper and penned her first Novel Elizabeth is Missing. Little did she know that It would be this novel that would win her the Costa Debut Novel Award 2014. (Along with being short listed for other awards) Having heard all this along with rave reviews from those who had already read the book I was keen to get stuck in and get reading! As I don’t want to say anything that would be a spoiler, I am just going to share with you the blurb from the back of the book! Maud is Forgetful. She makes a cup of tea and doesn’t remember to drink it. She goes to the shops and forgets why she went. Sometimes her home is recognizable – or her daughter Helen seems a total Stranger. But there is one thing Maud is sure of: Her friend Elizabeth is missing. The note in her pocket tells her so. And no matter who tells her to stop going on about it, to leave it alone, to shut up, Maud will get to the bottom of it. Because somewhere in Maud’s damaged mind lies the answer to an unsolved seventy year old mystery. One everyone has forgotten about….except Maud. Overall I Really enjoyed the book. It’s written in a first person narration style, so you can really feel a connection with Maud. You feel the confusion she goes through as someone suffering from dementia. (Something I am fortunate enough not to have had to deal with first hand but I know a few friends who have) It opened my eyes up to the struggle they have with simple tasks like making themselves a drink! So on that observation alone, I really enjoyed getting an insight of the world of someone suffering with a mental illness. It made me realise who little we talk about it in reality. Dementia along with other illnesses aren’t often the focus in literature, so I feel Emma Healey has done a fantastic job of bringing it to our attention. 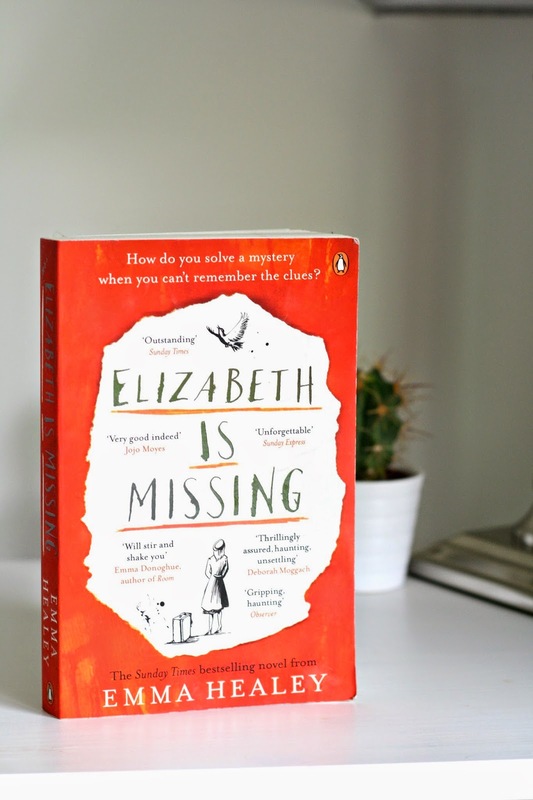 Elizabeth is Missing is a different genre to the usual Chick Lit style I am used to, however it was nice to shake things up a bit and try something new. As the blurb suggests there is a seventy year old mystery yet to be solved that is mentioned throughout the book through Flashbacks to Maud as her younger self. At first I struggled a bit when the flashbacks presented themselves. However at times it could become quite intense reading about the present day Maud and her daily struggles with her illness, so the flashbacks back to the 1940’s were a welcome addition to break up the intensity a bit. As the book progresses everything fits together nicely, questions are answered and you understand the importance of these flashbacks to when Maud was a young girl. I was pretty gripped to the story of Maud and her friend Elizabeth, so much so I was able to finish this 275 page book fairly quickly on my commute to and from work in the week. It's a very beautiful and cleverly written novel which i would highly recommend you check out if you want something a little different to read. It is intense at times, but I think that is what made me finish it so quickly. I was just desperate to find out just where Maud's friend Elizabeth was! 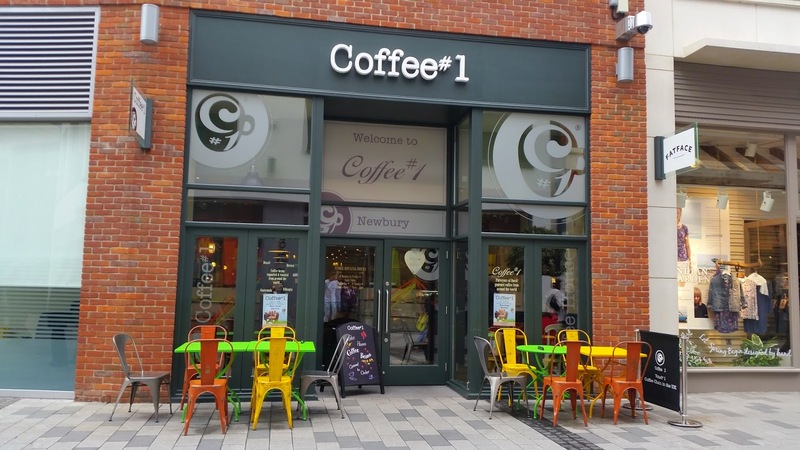 Lifestyle : Coffee#1, Newbury Branch. Weekends are made for chilling and this bank holiday is no different. Yesterday Tom and I had some errands to run in town, so we popped down fairly earlyish to tick off a few bits and pieces from our to do list. While sauntering through the delights of the Parkway Shopping Centre we decided to stop off in Coffee #1 for a quick beverage before heading home. 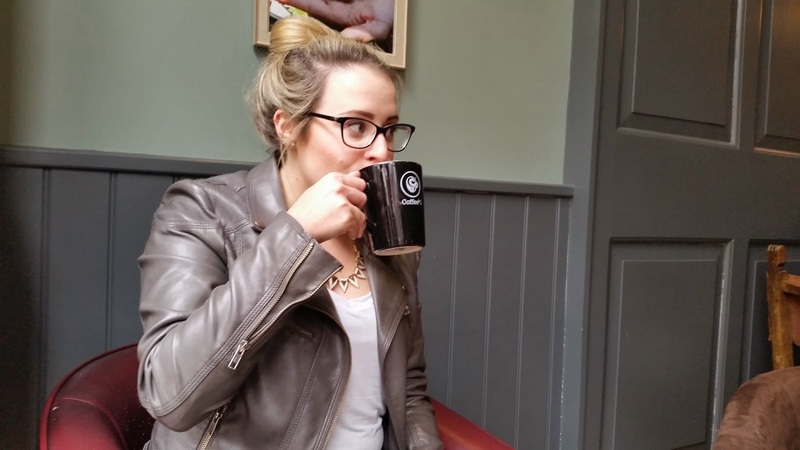 This particular coffee shop has become a favourite of ours, along with many others in the town. On this particular Sunday was rather busy! Coffee #1 has a lovely relaxed atmosphere. I find other chain coffee shops always seem a bit hectic when you go in, with the baristas shouting orders at one another and trying to get you served as quickly as possible. You don't get that in here. It's all very chilled which is something that comes across with the interior of the shop itself also. You've got the Mix and match different styles of furniture dotted around the place, which gives the shop a very homely relaxed feel. For those of us that love to curl up with a good read and a big cup of hot chocolate there's a fairly large shelf in the middle of the seating area stacked full of a variety of different books which you can just help yourself to. along with some very comfortable arm chairs at the very back of the room which are perfect for getting stuck into your new novel. I'm not a coffee drinker so I often opt for a regular or deluxe hot chocolate (Marshmellows and whipped cream, yes please!) 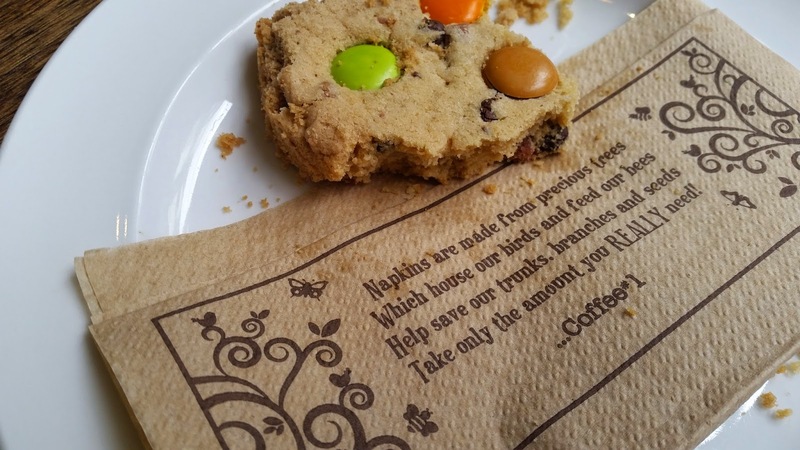 along with one of their Gluten Free Rainbow Cookies. Who can say no to a cookie? For those of you that are more health conscious they also offer fruit juices and Smoothies, as well as the usual range of coffees and frappes. Most of their drinks come in regular or large sizes at about the £3/4 mark so fairly similar to the other coffee shops that are out there! If you are feeling a bit peckish and want something a bit more substantial than a cake or cookie, they also have a range of different sandwiches, panninis and croissants all with a wide selection of fillings. I am yet to try any of these, but just by taking a look of them in the fridge I know they will probably be delicious! 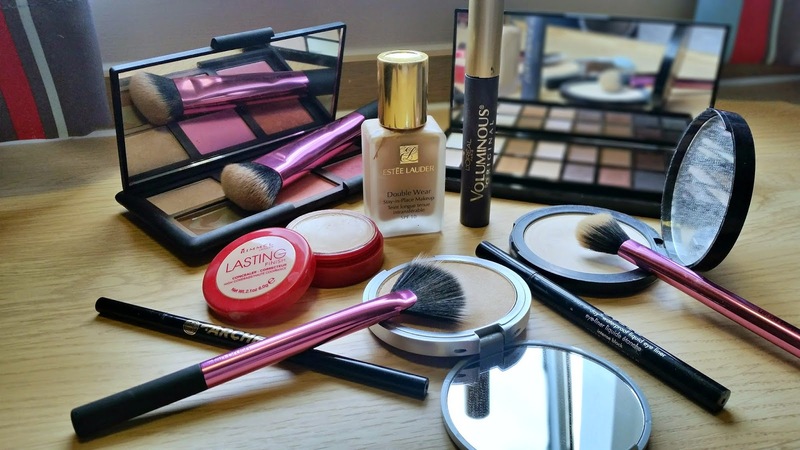 If you fancy checking out what they have to offer you can have a look on their website here. After having a chill for about 20 mins along with trying to take a few photographs without looking like a complete weirdo, we headed off to buy ourselves a new Slow cooker - We are so domesticated! What did you get up to at the weekend? 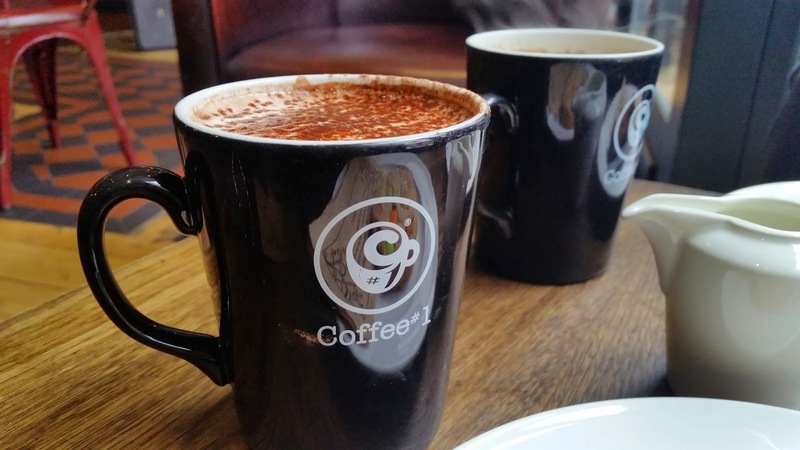 Have you tried out Coffee#1 at all?